The Gunflint Trail typically has snow from December well in to March. Our location in the far north of the state helps to keep us colder, so we are able to hold on to our snow throughout the winter. Even in low-snow years, we have plenty of the white stuff to get out and play. Skiing and snowshoeing are possible even on less than a foot of snow. If you are ever in doubt about our snow depth, just give us a call. Check out Trail Conditions and Reports. Winter in the woods is about snow and ice; wildlife and bird sightings; active days, and cozy nights by the fire. Fill your day with skiing, snowshoeing, ice fishing and sledding. Warm up in our wood-fired sauna, then roll in the snow. Relax in your cabin with a hot beverage and a good book, or step outside to see the starry sky and perhaps the northern lights. You may even hear the wolves howl. Many activities can be accessed right from your cabin. Others are just a short drive away. 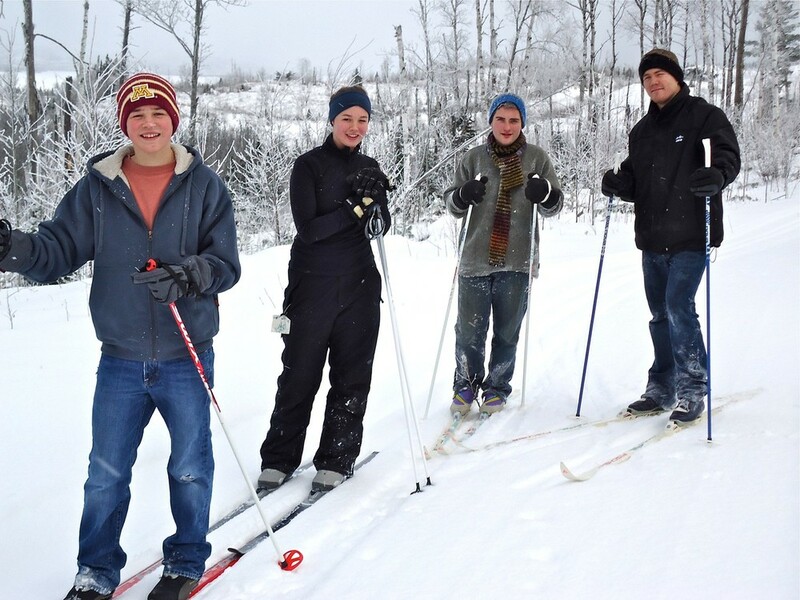 Cross-country skiing: Over 75k of trails begin right from our property. These are groomed with a Pisten-Bully groomer. Our season generally begins in late December, and lasts well in to March. The Upper Gunflint Trail ski pass is required, and is available at the lodge. 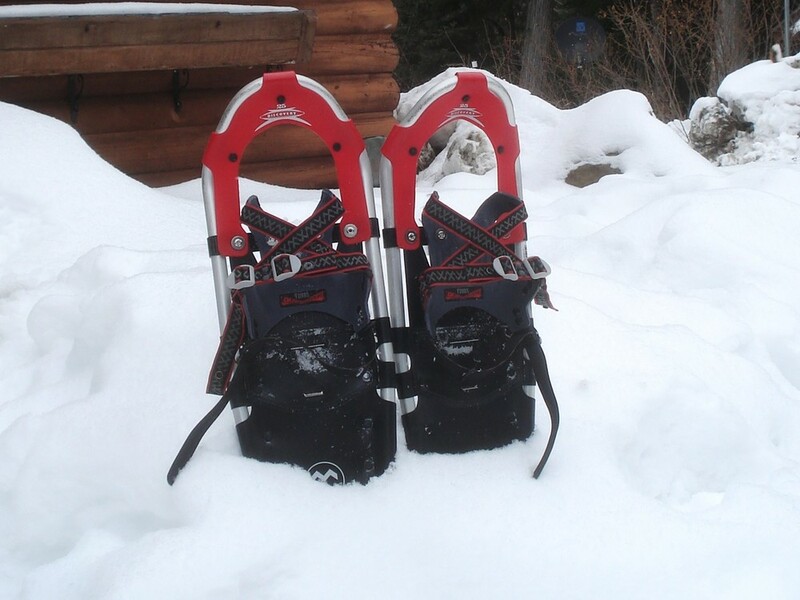 Snowshoeing: Access to approximately 25k of backcountry trails, as well as the Border Route Trail, right from Heston's. In addition, we are on the edge of the BWCA, providing endless opportunites for adventure travel that only snowshoes can provide. Ice Fishing: Trout season opens in mid-January, and a great spot to drill a hole or two is just a short walk off of our point. Other areas on Gunflint Lake are a couple of miles to the east, accessible by snowmobile. 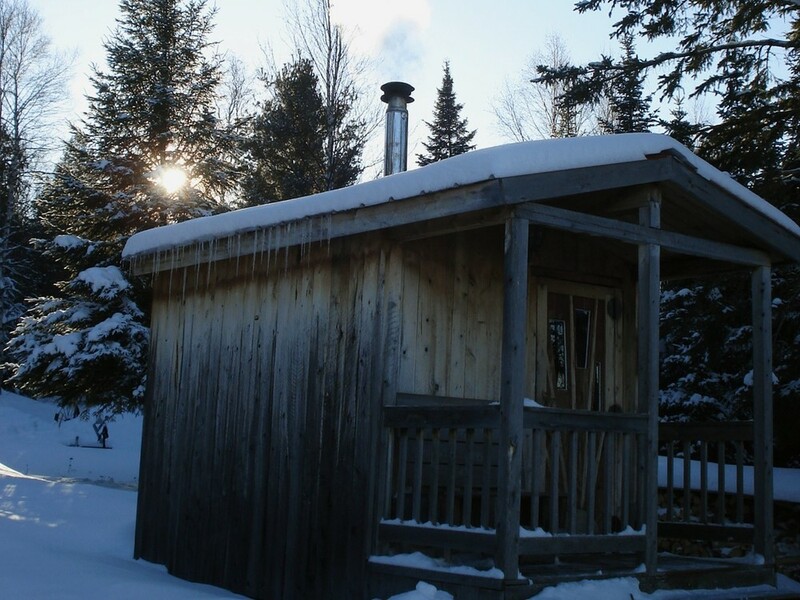 Sauna: We have a wood-fired sauna available for registered guests. Other activities in the neighborhood include dog sled rides, night skiing, ice skating, and snowmobiling. In addition, some restaurants are open during the winter, if you would like to dine out. Ask at the desk when you register, or call us with questions about any of these activities.